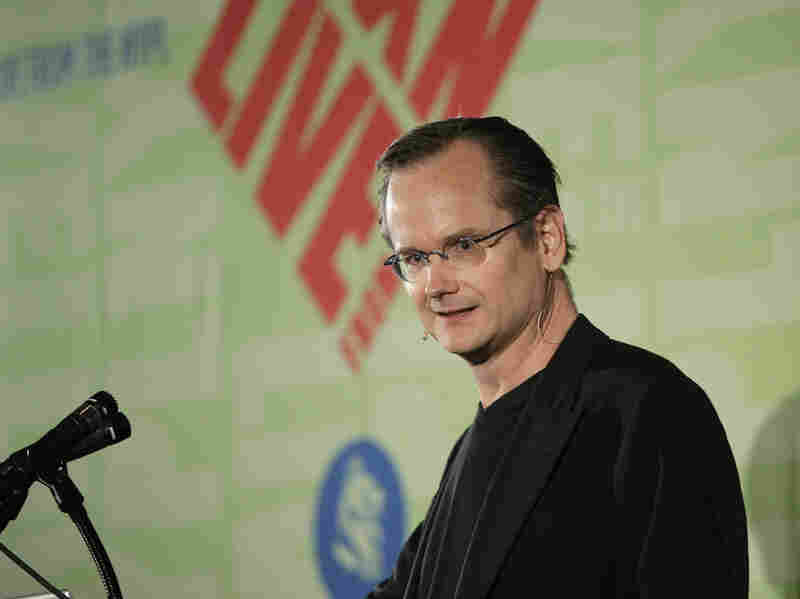 A Win For Fair Use After Record Label, Copyright Lawyer Settle : All Tech Considered Liberation Music threatened to sue Harvard Law professor Lawrence Lessig over a song he used in one of his lectures. Lessig sued back, and now the label is taking a look at its own copyright policies. Law professor Lawrence Lessig has reached a settlement with an Australian record label that tried to sue him for infringement. An Australian record label that threatened to sue one of the world's most famous copyright attorneys for infringement has reached a settlement with him. The settlement includes an admission that Lawrence Lessig, a Harvard Law School professor, had the right to use a song by the band Phoenix. "Lessig posted his lecture on YouTube, which uses a technology that scans videos to find copyrighted songs. "Many labels and artists have agreed to let songs stay up in return for a cut of the money that YouTube gets from ads it runs with the videos — but some labels, like Melbourne-based Liberation Music, which owns the rights to 'Lisztomania,' just want them taken down. "One day, 'The computer bots finally got around to noticing that I had used a clip from this song,' he says. 'Liberation Music then fired off threats of a lawsuit to me if I didn't take it down.' "
When Liberation Music sent Lessig a takedown notice saying he was violating its copyright, Lessig fought back. Now, the parties have settled. In a statement, Liberation Music admitted Lessig's use of the song was protected by fair use — a legal doctrine that allows copyrighted material to be used for education, satire and a few other exceptions. Liberation Music says it will also pay Lessig for the harm it caused. The amount is confidential under the terms of the agreement, but it will be dedicated to supporting work by the Electronic Frontier Foundation, a digital civil rights group, to work on causes that were important to Lessig's friend Aaron Swartz, a technologist and activist who committed suicide last year. In winning this tussle, Lessig was also able to score a larger victory for his cause. Liberation Music agreed to adopt new policies around issuing takedown notices. The label has promised to work with Lessig to improve its YouTube and copyright policies to make sure this doesn't happen again. "Too often copyright is used as an excuse to silence legitimate speech. I've been fighting against that kind of abuse for many years, and I knew I had to stand up for fair use here as well. Hopefully, this lawsuit will send a message to copyright owners to adopt fair takedown practices — or face the consequences."